When is Stranger Things 3 on Netflix? Who is in the cast, and when will it be released? Netflix’s Stranger Things season three was a dead cert even before the second season dropped to widespread hype in October 2017, and the company made it official late in 2017. 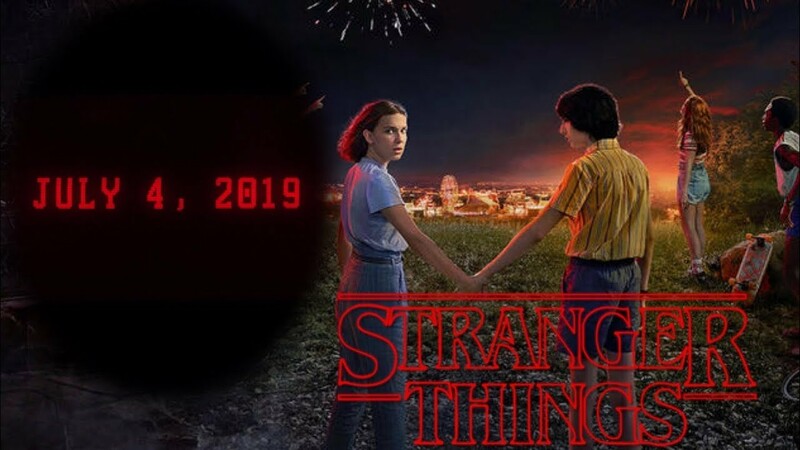 Although it has been quite a while since the last series, Stranger Things 3 is finally being released on Netflix on the 4th July 2019 - Independence Day in the U.S! See above, a teaser of Season 3. David Harbour (Chief Jim Hopper) had already indicated that season three probably wouldn’t arrive until 2019. Netflix’s vice president of original programming Cindy Holland then confirmed that season three would not be released until summer 2019, saying however that the delay will be “worth the wait”. Netflix recently celebrated the first ever Stranger Things Day on Tuesday 6 November 2018. Millie Bobby Brown said she couldn’t wait for fans to see the new episodes as she shared a message from the cast to mark the occasion. Now, you may be wondering. Is there a trailer? Don't worry! All your favourite cast are still in the show! Don't worry all the original cast are on board for the new episodes. That means: Millie Bobby Brown’s Eleven, Finn Wolfhard’s Mike, Winona Ryder’s Joyce, Noah Schnapp’s Will, Caleb Mclaughlin’s Lucas, Gaten Matarazzo’s Dustin, Natalia Dyer’s Nancy, Charlie Heaton’s Jonathan and fan favourite Joe Keery (Steve) are all set to return. What do you think of this? Tell us below! Great article! Is a fav for sure. Can't wait til it's out!